His Q is usually written as ΔQ but I won't quibble over that. What I don't understand is why he wrote the equation. He does use it elsewhere in his article, but how he uses it doesn't make sense. What's the mass? 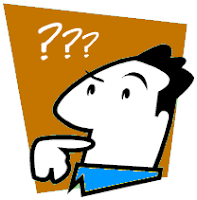 What's the specific heat capacity of the surface? plotting the annual difference doesn't tell you much of anything at all. All you're doing is getting rid of any trend in the data. 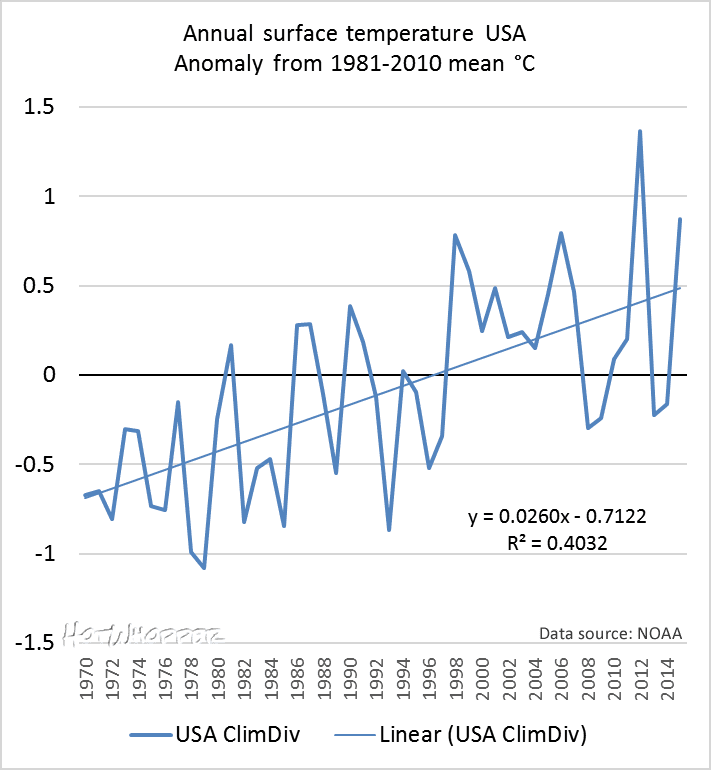 Figure 1 | Annual temperature difference from one year to the next for the contiguous USA. Data source: NOAA ClimDiv. As you can see the plot has a zero trend line - you have to go to four decimal places just to get a trend line of 0.0001 C/year and R2 is also all but zero. So the chart is trendless. This is what you should have expected. 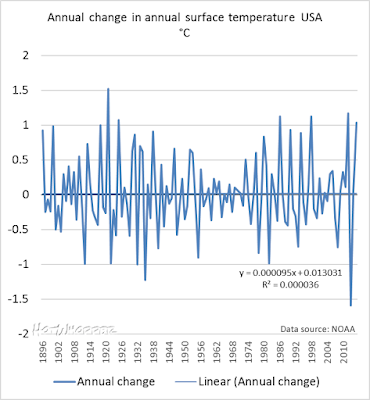 Temperature fluctuates from year to year. There is more above the line than below. If you add up all the positives and all the negatives, you'll find that the positives outweigh the negatives by 2.26 C. That's a lot, but you won't see it by eyeballing the chart or adding a linear trend line. 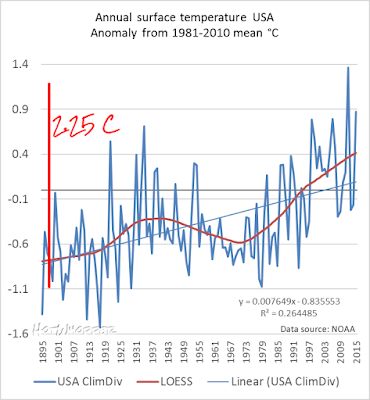 The trend since the early 1970s is around 0.26 C/decade. That's rather a lot of warming. There was a big shift to warming between the decade ending in 1985 and that ending in 1995. 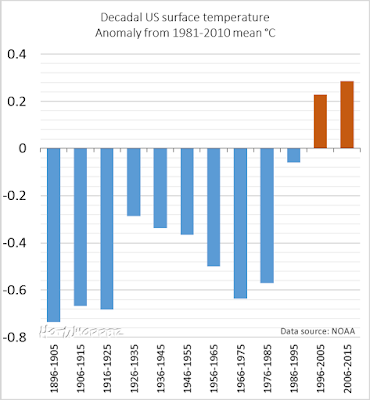 There's a difference of more than 0.8 C between the decade ending 1985 and that ending in 2015. The above charts don't really have much to do with Leland's article. 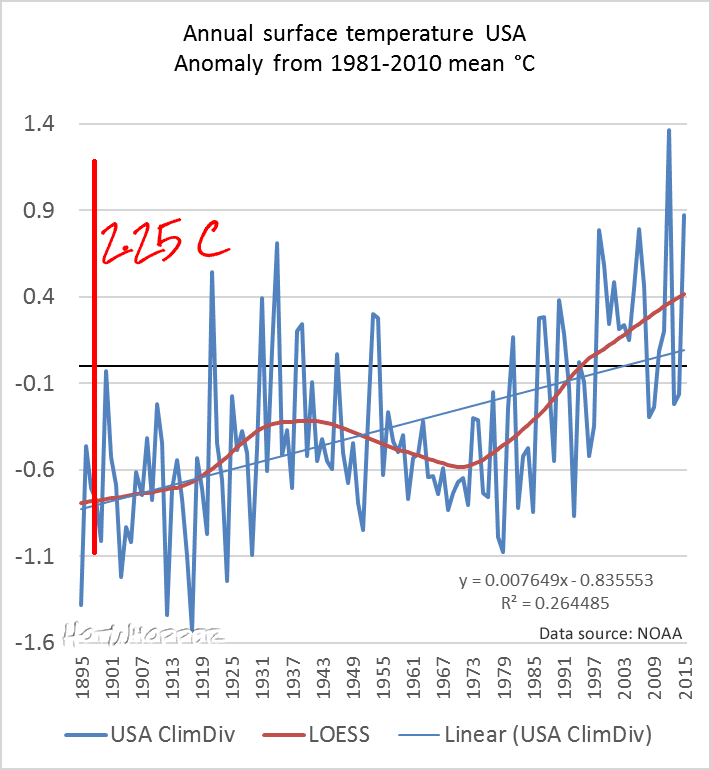 What they do illustrate is that you aren't going to learn much about surface temperature changes by looking at annual differences in temperature for consecutive years. 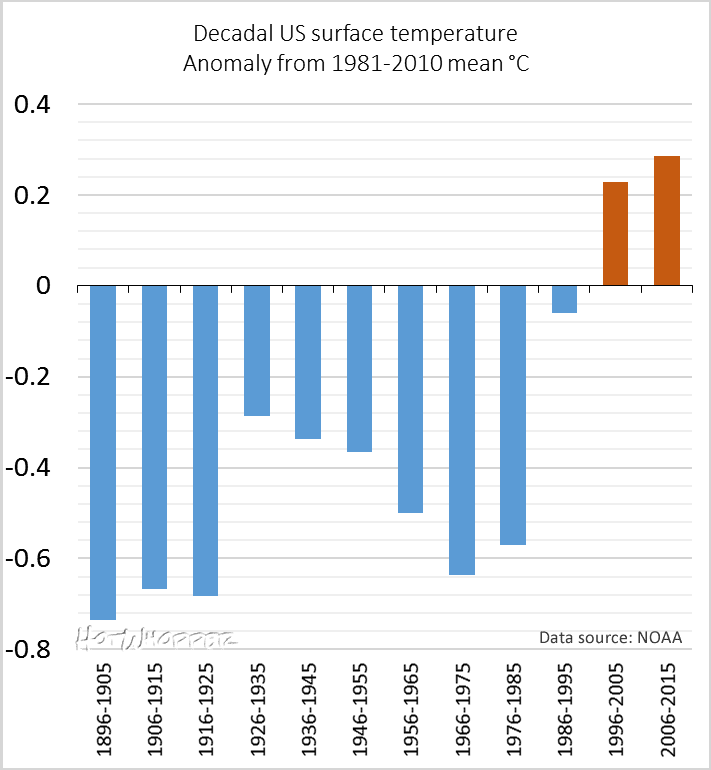 You'll learn a lot more just by plotting the actual annual or decadal temperature. Winter is cooler than summer - who knew? 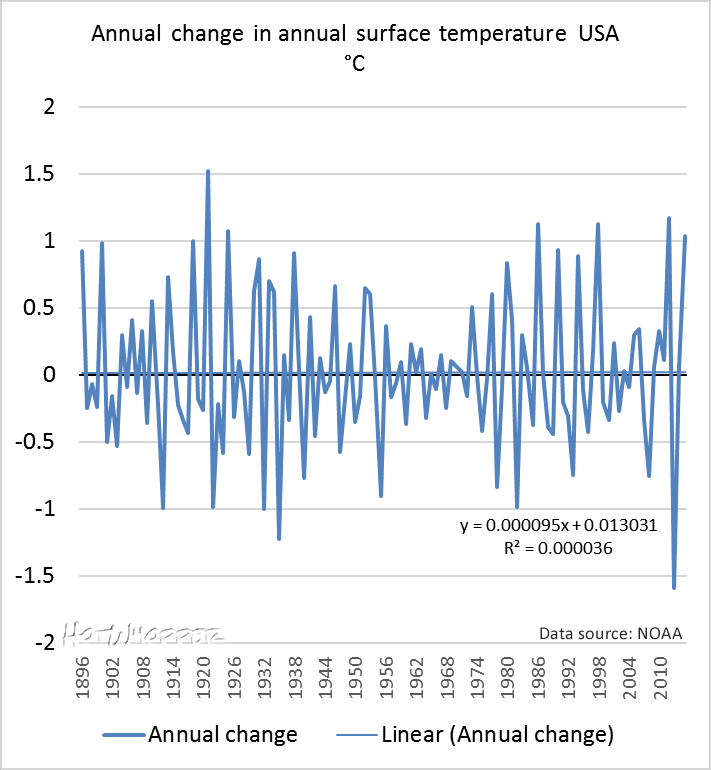 Figure 6 displays the pattern of seasonal warming over time based on the difference in temperature between January and July, the peak temperature points. For the US, the seasonal warming is around 45°F while the range is from about 40 to 55°F. That is a massive amount of warming and a large amount of variation. It is much larger than the presumed trigger level for global warming, yet is unremarkable to climate scientists. The mystery of Climate Science is that massive, regular seasonal warming cycles are unremarkable, but small changes in annual temperatures signal catastrophic climate change. Go figure. Just think. This is the calibre of article at the climate conspiracy blog WUWT. There aren't a lot of comments, only 14 in two hours. I guess Leland stumped even the usual WUWT crowd. While eyeballing the data is a good start to get an overview , it hardly ‘proves’ anything without some numbers. Are we supposed to be able to tell by eye if either graph has a mean of exactly zero ? Since this is essentially a rate of change plot a small offset from zero could be masked by the fairly large swings. Differentiation does exaggerate the high frequency content. Also you Tmax histogram clearly has a deficit in -1 values, How much of a warming does that represent? Is it significant? This is silly. By taking year to year differences you are removing the trend. Not surprising you get the results you do. Many of these debates about weather data seem increasingly similar to earlier debates about how many angels can dance on the head of a pin. We already know for certain that the planet has had not one but many ‘Ice Ages’ and the warm cycles are very much shorter and come with some regularity and that humans changed the flora and fauna of the earth massively due to our hunting and farming methods. If the humanoid apes didn’t figure out how to attach chipped up rocks to pieces of trees, we would still have most of the Ice Age animals here today such as mastodons, for example. We don’t have them anymore, alas. We definitely changed the planet’s life evolutionary cycles. Now the question is for us humans, what happens next? Some say we will burn in h*ll and others, freeze to death. I think our planet will roll onwards relentlessly continuing the sudden warm/long cold cycles. 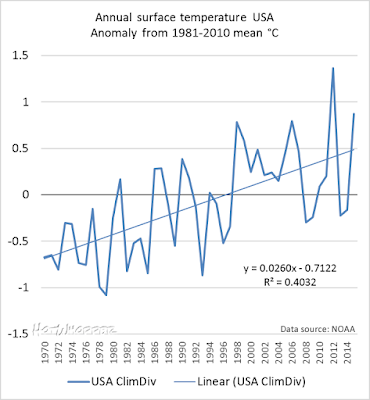 Don't forget that the trend line in figure 1 starts at 0.013031, which by itself corresponds to an increase of 1.3 C/century. And the upward slope means that it actually goes faster later. At 2015, it would be at 0.024336, which corresponds to an increase of over 2.4 C/century. I assume that x=0 at 1896. Of course, this is hard to see by simply eye-balling your graph - and even harder to see in Park's original graphs, which do not include any trend lines at all. Uses Bob 'Smirkin' Carter's 'idea' of pretending average is meaningless: "Tavg is not a measurement parameter, conflates Tmax and Tmin behaviors, so it is not used in the analysis." I presume that the gentleman also views the past ice ages as no big deal. The decrease in the global mean temperature was much less than the annual cycle after all. Plotting annual difference, and monthly difference, is the same trend-disappearing canard that idiot Tisdale uses in his latest Gish Gallop on GAT / ENSO. I guess he cribbed it from Leland. Great how they have the courage to share mediocre ideas. Who knew that interannual and monthly variation was normal ? So he's saying that scientists in multiple disciplines in multiple countries over a couple of generations (at least) have all overlooked this bit of information (incompetence), or have deliberately ignored it (conspiracy)? It reminds me of the canard that melting ice won't raise sea levels because melting ice in your drink doesn't make it overflow--that means scientists have overlooked something most people already know. If scientists were involved in a conspiracy theory you'd think they'd have chosen a line of evidence that grade school kids could not disprove.